Remove DRM from iTunes Apple Music tracks. 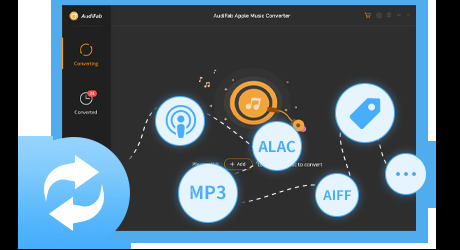 Convert Apple Music files, audiobooks, M4P audio files. Convert at fast speed with high quality kept. Easily keep ID tags information. Remove DRM from Spotify music songs. 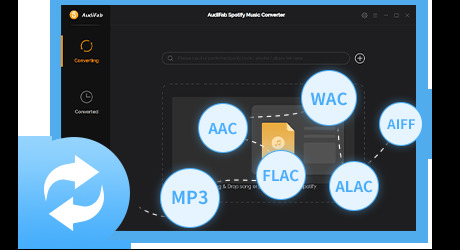 Convert Spotify music to MP3, AAC, FLAC or WAV. Convert Spotify music at 10X speed with lossless quality kept. Remove DRM from Amazon Music Unlimited. 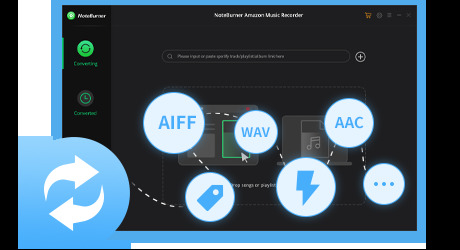 Convert Amazon songs to MP3, AAC, WAV or FLAC. Support 10X faster conversion speed with lossless audio quality.